I’m definitely spiritual. But I’m not… obviously spiritual. For my metaphysical core spins deep beneath a layer of dry humorous crust and mountains of cynicism. While mischief shines brightly. I’ve never had any interest in talismans. [Except when Conan the Destroyer was released on Betamax. Recalling that green, glowing, spiky thing that was a talisman…] I typically chalked them up to childish imagination, along with stuffed unicorns and ouija boards. Meanwhile, there are extant coins from the Tang (618-907 CE) and Song (960-1279 CE) dynasties. I recently purchased a few. Now I anxiously await a knock on the door from a Canadian postman. I originally bought the coins for their connection to a time when great Chinese medicine physicians roamed mountain tops, and I presume, fished in clear streams. Just the thought of holding the old coins accelerates my heart rate. Not yet even having the old currency, I want to travel back further in time. I now wish for Han dynasty (206 BCE – 220 CE) coins, linked to the time when the Chinese medicine foundation was poured; when the classical medical texts were written: the Huang Di Nei Jing, the Nan Jing, the Shang Han Lun/Jing Gui Yao Lue, the Mai Jing. Besides adding historical weight to the subject of Chinese medicine, these coins (especially those from the Tang dynasty) also represent a sagely tradition. 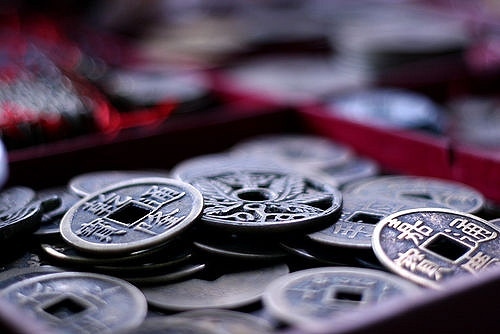 The throwing of Chinese coins was used–beginning in the Tang dynasty–to garner advice and insight from the I-Ching, another classical text and influencer of Chinese medical thought. Coin throwing was seemingly a form of divination. In reality, I posit it is more likely to be a way of tapping into the wisdom that resides within your subconscious. A picture of old Chinese coins triggered my fascination with history and ancestral roots. After being pulled further in, it hit me. These coins, matched with my excitement and increased heart rate, are a source of inspiration for me and my work — because of their long, romantic journey through space (i.e. 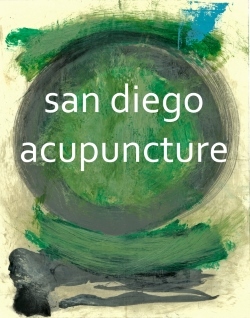 land and sea, not galaxies), and their temporal connection to the birth and development of Chinese medicine. Thus, a revelation: these old Chinese coins will be my talisman. something to help us tap into our full potential. an anchor to our life purpose. in the case of my dynastic coins, an homage to the ancestral line of Chinese medicine physicians who help clarify a healer’s path. In other words, talismans need not be fantastical. Rather, they can be a source of inspiration and an anchoring point as you navigate a field of learning and doing (and dreams). So, what are your thoughts on talismans? Am I just a kid at heart?